Good news for fans of oddly-shaped, German five-doors. 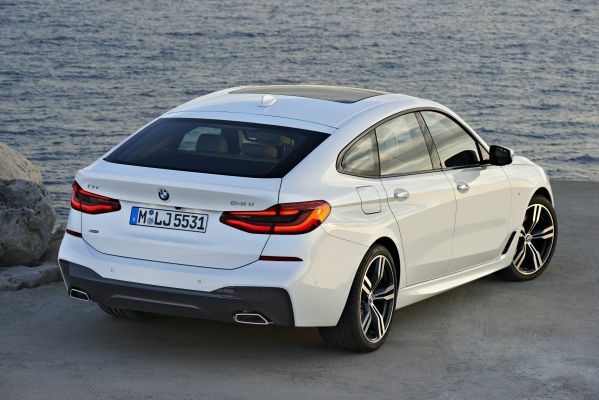 BMW has announced and revealed the 6 Series Gran Turismo five-door fastback. 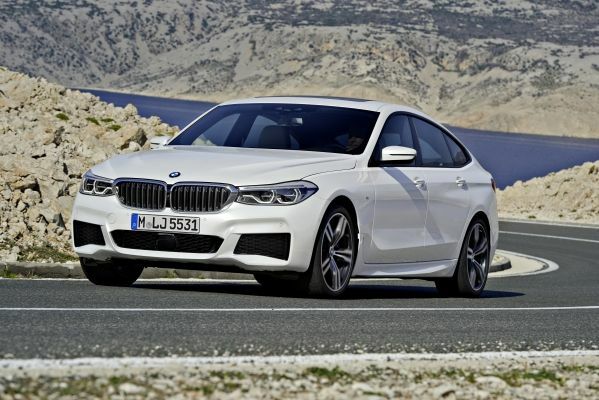 Replacing the old 5 Series GT, this new car is set to continue that car's niche as BMW's offering for those who crave "the long-distance comfort of a luxury sedan with alluring coupe style." 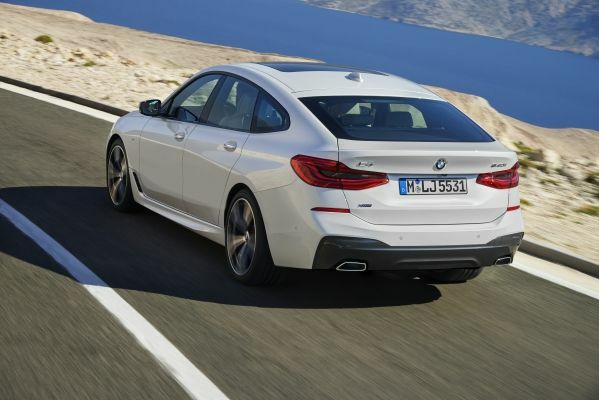 Not to be confused with the Gran Coupe, BMW models with the Gran Turismo suffix also have four traditional doors, but features a wagon-like hatchback. Not quite a wagon and not quite a crossover, the GT models are known for being some of the more awkward-looking vehicles to come out of Bavaria. This one, however, might be the most appealing example yet. Still not as elegant as the Gran Coupes or the traditional-and-discontinued normal Coupe, this 6 Series GT (at least to our eyes) looks decidedly alright. This is in large part to a rear end that doesn't stick up in the air as much. 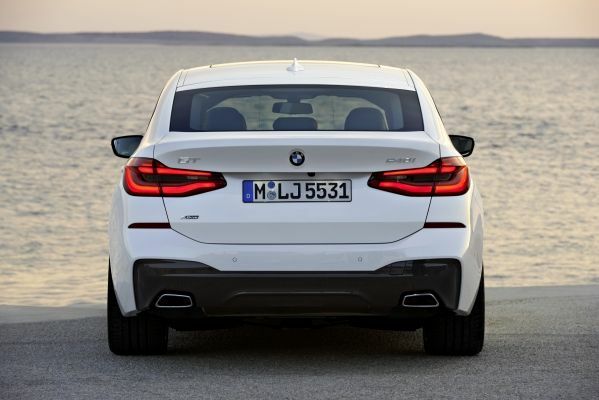 Specifically, the tail section is now "64mm lower in height", according to BMW. Beyond its looks, the new GT 6er reportedly boasts a sportier, comfier, and more efficient driving experience compared to its predecessor. An available retractable rear spoiler is a cool highlight. The engine choices on tap include a 2.0-liter four-cylinder 630i, a 3.0-liter inline-six 640i, and a 3.0-liter diesel 630d. xDrive is available on the 3.0-liter equipped models. Here in the U.S., though, we'll only be getting the 640i xDrive with its eight-speed automatic transmission. On the inside, all of BMW's latest infotainment gizmos are in attendance, including a 10.25-inch center display. Also present are the usual suite of active safety aids such as Active Cruise Control, Lane Departure Warning, Cross Traffic Warning, and a whole lotta other Warnings. In regards to that name, this new 6 Series GT signals the start of BMW's rework of the 6 Series range—a direct result of the reintroduction of the 8 Series. 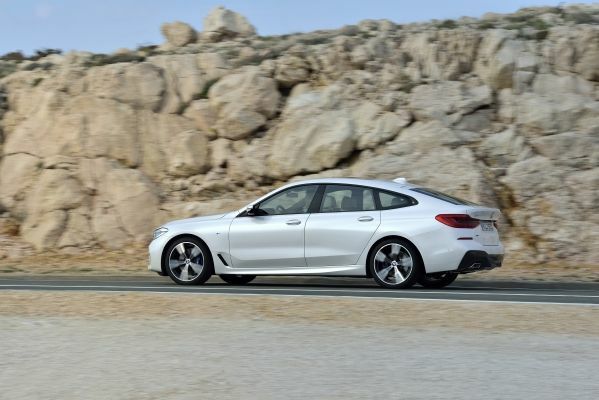 What do you think of the new BMW 6 Series Gran Turismo? Is the increased utility worth the less-than-conventional appearance?